To keep up with nimble innovators, IMLS needs to be nimble itself. To encourage the adoption and spread of innovations, we’re thinking about ways to approach how work or ideas are scaled up across the library, archive, and museum (LAM) fields. You’ll start to hear more of this in how we talk about our own work and the work of LAMs. To help demonstrate how practitioners can scale up a new idea, let’s talk about food. My hometown of Charleston, S.C., is known for its cuisine. 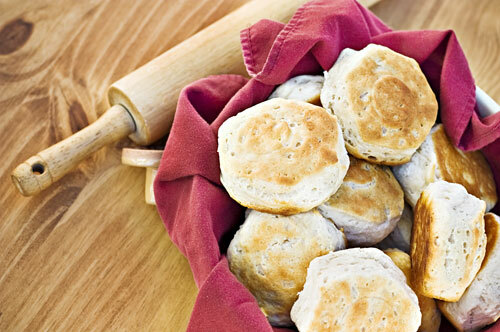 Its traditional Southern comfort foods are once again in demand—take biscuits, for example. There’s a locally-famous Charleston matriarch who made a mean biscuit. Her daughter decided to take biscuit baking to scale, making them available well beyond Charleston. Contrast that with the story of another local entrepreneur who scaled up her mother's culinary triumph—this time, a recipe for homemade granola. Consider the challenges of making good food yourself, and then consider how you would do this nationwide. Biscuits and granola are two very different products, so of course scaling them up is going to be different. Slight variations in how biscuits are made make for a mealy texture or biscuits hard as hardtack, while granola is much more forgiving. A project likely to transform LAMs might be more biscuit-like than granola-like. Your innovation might have to be replicated perfectly to be successful or more adaptable to match a wider range of tastes. Which is it going to be? This key difference (i.e., biscuits vs. granola) shapes the challenges at each of the four stages of project maturation, or scaling up a new idea. In the Exploratory Phase, you identify the challenge or problem your proposed recipe overcomes or solves. What are you testing in your “test kitchen”? It could be taking what others have tried before and testing which of those works best in your type of oven. Or you may be trying to adapt a traditional recipe to a new flavor combination. You may not have a proven family recipe and so might have to do some investigation. This is the time to put aside assumptions about how to make biscuits or granola and think creatively. You are identifying the most promising approaches to pursue and pilot in the next step. In the prototyping or Piloting Phase, your test kitchen should be identifying how many ways there are to be successful. Can your project be successful when made with different ingredients or in different proportions? Just how precisely do adopters of your project plan need to follow your recipe? What type of instructions will they need? Baking biscuits at high altitude takes a different mix of ingredients, while for granola, it doesn’t matter. Evaluation of this phase may result in enhancements to your ingredients, how you assemble them, and your definition of your primary target audience. In the Scaling Phase, it really is all about getting out of your kitchen and into the kitchens of others. How can your made-by-hand approach be done in large batches or in several locations at once? Will you incorporate local adaptations of your approach (i.e., granola), or strictly adhere to protocol (that is, biscuits)? Either one of these could work, but they carry with them varying challenges, vastly different approaches to crowd-sourced learning, and major differences in the cost of sustaining and ultimately multiplying success. Are you able to increase quantity while maintaining quality? In the final phase, Mainstreaming, you shift to the national scale. We often say the product or project is “mature,” proven and stable. How does the biscuit or the granola whet the national appetite? What enhancements are needed to appeal to broader audiences? Do you need to work with intermediary organizations who distribute your recipes, toolkits, and trainings to achieve more efficient distribution? Are those intermediaries able to more easily reach and foster adoption of your product? Is it time for re-invention or regionalization? Has our national palate moved on from your innovation? While transformative in the past, is it now poised to inspire derivative innovations? At IMLS, we think about these phases as we plan and assess our agency’s work to best serve and provide value to LAMs. You also may find thinking about these stages helpful in your own work, whether you are providing rich learning experiences, partnering with your community to improve well-being, stewarding collections, or enhancing public access to digital resources and information. I hope that you will take your personal or institutional successes and feed the rest of the nation as those innovative daughters did. It takes a different project approach—an entrepreneurial approach—to adapt and market what is taken for granted at home in your family and share its value with others. This is not an exhaustive list, but rather reflects some of the resources available on this topic. IMLS does not endorse any of the listed resources, and the views expressed therein do not necessarily represent the opinions of IMLS. Bearman, Jessica. "Evaluating Community Change: A Framework for Grantmakers." Equal Measure. January 14, 2015. http://www.equalmeasure.org/ideas/impactblog/evaluating-community-change-a-framework-for-grantmakers/. Clark, Catherine H., Cynthia W. Massarsky, Tamara Schweitzer Raben, and Erin Worsham. “Scaling Social Impact: A Literature Toolkit for Funders.” Growth Philanthropy Network and Duke University, 2012. http://www.socialimpactexchange.org/webfm_send/739. Duflo, Esther. “Scaling-up and Evaluation.” World Bank. Paper prepared for the ABCDE in Bangalore. May 21-22, 2003. http://documents.worldbank.org/curated/en/146321468782136917/Scaling-up-and-evaluation. Grange, Lori. “‘A Practical Guide of Outcome-Focused Philanthropy.” William and Flora Hewlett Foundation, December 5, 2016. https://www.hewlett.org/practical-guide-outcome-focused-philanthropy. Larson, R. Sam, James. W. Dearing, and Thomas E. Backer. “Strategies to Scale Up Social Programs: Pathways, Partnerships and Fidelity.” Diffusion Associates. September 2017. http://www.wallacefoundation.org/knowledge-center/pages/how-to-scale-up-social-programs-that-work.aspx. Laws, Margaret. “‘Magical Space’ Where Technology Increases Impact.” Stanford Social Innovation Review, April 28, 2017. https://ssir.org/articles/entry/the_magical_space_where_technology_increases_impact. Meehan, William F., III, and Kim Starkey Jonker. "Earning the Right to Scale (SSIR)." Stanford Social Innovation Review: Informing and Inspiring Leaders of Social Change, March 30, 2018. https://ssir.org/articles/entry/earning_the_right_to_scale. 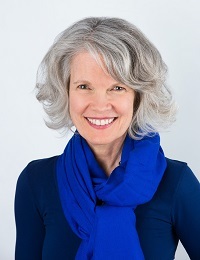 Dr. Kathryn K. Matthew was confirmed by the Senate in September 2015 as the 5th director of the Institute of Museum and Library Services.